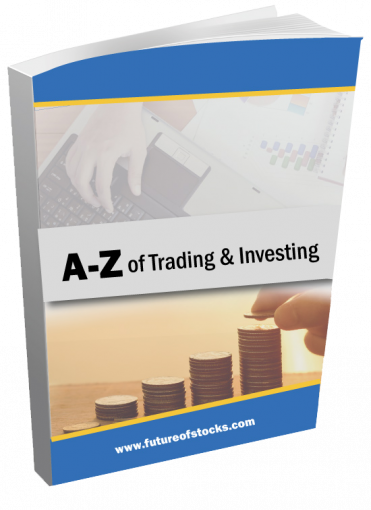 Beat The Stock Market With Our FREE A-Z Guide! Personal data is information that identifies you or can be used to identify or contact you, such as your name, e-mail address, postal address, or phone number ("Personal Data"). IWM may collect Personal Data from you when you enroll in, subscribe to or agree to register for newsletters and news alerts on the IWM Offerings. In addition to information collected during registration, enrollment, or subscription, IWM may collect Personal Data knowingly provided by you in e-mails to the IWM Offerings, online forms, order and registration forms, surveys, polls, sweepstakes, and contest entries. Providing this information is always at your option, although your failure to provide Personal Data in such instances may limit your ability to use such features of the IWM Offerings. IWM may also collect “Monitoring Data." Monitoring Data is any information that does not reveal your specific identity, such as computer or device type, browser information, app usage data, information collected through cookies and other technologies, demographic information, statistical and aggregated information. We may use Monitoring Data to help us understand who uses the IWM Offerings and to improve IWM’s websites. IWM may also receive other information about you from third parties, including, for example, demographic data, information about your interests, and information about your activities on other websites. We may, from time to time in emails, alerts or other communications you have agreed to accept from us, include advertisements, sponsorships, other offers from or information about third parties. This does not and will not mean that IWM endorses any specific products or services available from such third parties. Such materials from those third parties, regardless of their relationship with us, are provided merely for information purposes and users should make their own judgments and evaluation of any services or products available on any other websites. IWM may use Personal Data and Monitoring Data it collects for editorial and feedback purposes, and to deliver relevant advertising, statistical analysis of users’ behavior, product development, delivering products and services, providing customer support, customizing and improving the content and layout of the IWM Offerings, completing business transactions, administering individual accounts and meeting government regulatory requirements such as sales tax collection. Monitoring Data may be used for internal or external purposes such as researching and identifying market segments and needs, and marketing and promotion. IWM may share your Personal Data and other data collected with service providers, affiliates, and subsidiaries in connection with the services we provide. IWM may disclose your Personal Data to unaffiliated third parties if we believe in good faith that such disclosure is necessary (a) to comply with applicable laws, rules, or regulations, or to preserve IWM’s legal rights in the IWM Offerings’ content, whether the same arises from contract or through force of law; (b) to provide you with any services, information, special offers, promotions or products you requested or consented to and to allow us to perform other activities related to such services and products; or (c) to operate these IWM Offerings and other of IWM’s systems properly. IWM may also share your Personal Data with a sponsor or other third party that is interested in serving you ("Third-Party Providers"). You may instruct us at any time not to share your Personal Data with such Third-Party Providers by contacting us in the manner provided under "Your Choices Regarding Personal Data Collection and Use". IWM is not responsible for any further use or disclosure of your Personal Data by Third-Party Providers; such use or disclosure is governed by the Third-Party Providers’ privacy policies. IWM may use the Personal Data you share with us to provide you with the information or product(s) you signed up for or purchased. Personal Data may be given to any third party platform for advertising or marketing purposes. We may use third party service providers, such as ad networks, to perform certain advertising activities on our behalf, such as retargeting and we may provide them with your Personal Data if, or when necessary. IWM advertising does not use segments based on data deemed to be sensitive or segments designed to target children under thirteen (13) years of age to serve or optimize advertisements. You may visit www.aboutads.info to opt out of this type of advertising by companies participating in the Digital Advertising Alliance self-regulatory program. Note that electing to opt out will not stop advertising from appearing in your browser or applications. It may make the ads you see less relevant to your interests. In addition, note that if you use a different browser or erase cookies from your browser, you may need to renew your opt-out choice. A cookie is a small data string that is written on your computer hard drive by a web server. Cookies can play an important role in providing a good customer experience using the web, by helping us customize your website experience. You can manage cookies by using features and functions available on most Internet browsers. The help function of your browser should contain instructions to how to change settings to accept all cookies, to notify you when a cookie is issued, or to not receive cookies at all. If you decline to receive cookies, certain features of the IWM Offerings may not function properly. You may choose to receive promotional correspondence from IWM and its marketing partners by checking the appropriate box when you register or by contacting IWM via email at: signup@investwithmedia.com. IWM will not share any Personal Data with a third party without giving you the opportunity to choose to share such Data. You may modify, correct, change or update Personal Data that IWM has collected via the IWM Offerings or request that your Personal Data be removed from IWM’s database by contacting IWM at CustomerService@investwithmedia.com. In any instance, our removal of such information may require you to register again with IWM in the event you later wish full access to the IWM Offerings. The IWM Offerings may contain links to other websites maintained by third parties ("Other Sites"), either as a hyperlink or through a direct data feed accessed by you. IWM does not endorse, and is not responsible for, the privacy practices or the content of these websites. You should review the applicable privacy policies in connection with your use of such third party websites. IWM has established reasonable precautions to protect collected Personal Data from loss, misuse, unauthorized access, disclosure, alteration or destruction, which include contractual, administrative, physical, and technical steps. Technical measures include use of firewall protection and encryption technology where appropriate. Although IWM takes reasonable precautions to assess the reliability of such technology, it relies on the statements of the vendors of those products and services as part of its security evaluation. BY USING THE IWM OFFERINGS, YOU ACKNOWLEDGE AND CONSENT TO THE FACT THAT IWM SHALL HAVE NO LIABILITY FOR FAILURES OF SUCH PRODUCTS AND SERVICES AND THAT YOU SHALL HAVE RECOURSE SOLELY AGAINST THE MANUFACTURERS OR VENDORS THEREOF. Please note that while IWM has endeavored to create secure and reliable sites and mobile application(s) for users, the confidentiality of any communication or material transmitted to/from IWM or the IWM Offerings or via email cannot be guaranteed.